It’s that season again. We’re making our list and checking it twice. But who really cares if someone’s naughty or nice? If you have a traveler on your gift recipient list, knick-knacks that sit on the shelf and collect dust—while appreciated—won’t satisfy the wanderlust. And you can usually skip over those sentimental jewelry advertisements because what we really want is anything that will aid in our explorations. From stocking stuffers to luggage to road trip essentials, here are some gift ideas for travelers—the naughty and the nice ones. 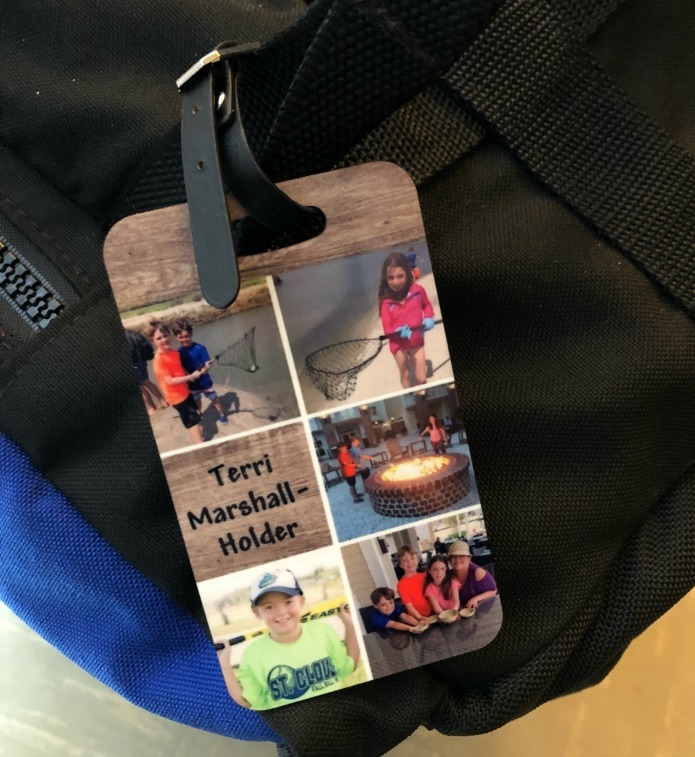 They’re simple and inexpensive, but a personalized luggage tag is ideal for travelers of any age. A quick search for these online will yield plenty of designs. My personal favorites are the photo tags that my daughter has made for me a few times. Using Shutterfly, she uploads photos of me with the grandkids and creates luggage tags. It’s so much better than a coffee mug because I get to take those cute little faces along with me everywhere I go. 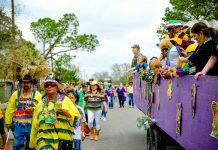 Have a road tripper on your list? Being prepared is the key to being safe. 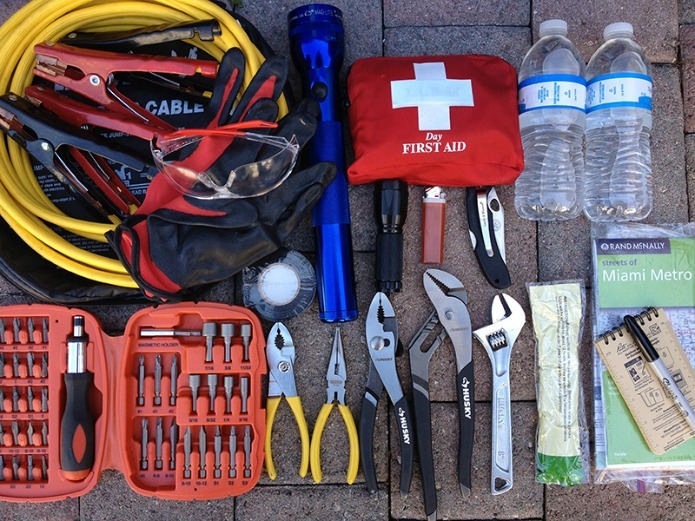 A roadside emergency kit (AAA’s kits start at $34.99) will keep her prepared for those mishaps no one wants to manage. Besides the standard items like flares, jumper cables and gloves, consider an emergency kit with a hammer that includes a seat belt cutting tool. 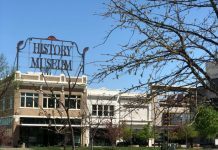 There are plenty of gift card options out there that work for road-tripper on your list. Consider a gas card for a few courtesy fill-ups along the way. Or take care of the tummy fill-ups with gift cards for eateries along the way like Cracker Barrel, Chick-fil-a or Subway. 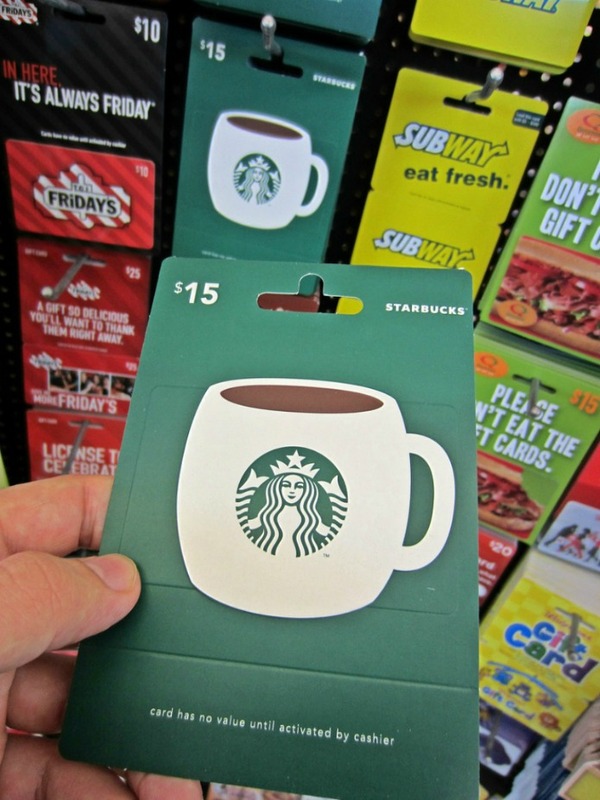 Hint: A Starbucks gift card would be the key to my heart—I LOVE my tea! Always searching for your room key and cell phone in your hotel room? A portable valet tray will make that annoying problem go away. My meticulously organized husband happily handed me a Red Oxx Travel Tray in an attempt to lessen my scattering. This catchall is the perfect size for storing larger items like my passport, earrings, hotel room key, smartphone and wallet. I just keep this little tray on the nightstand beside the bed and everything is right beside me. Should I be forced to evacuate my room in the middle of the night, I can just grab it and go. I once spent three hours at JFK airport after an international flight waiting for my luggage due to a thunderstorm that shut down baggage claim operations. That was the last time I checked a bag. But considering my trips often last for two weeks, finding a carry-on legal bag that holds enough was challenging. I turned to the aforementioned Red Oxx brand—which, admittedly, has become a family obsession. Based in Montana, Red Oxx offers an abundance of high-quality hand-crafted luggage bags and accessories. At the helm is CEO Jim Markel, an avid adventurer who has tested his gear all over the world. 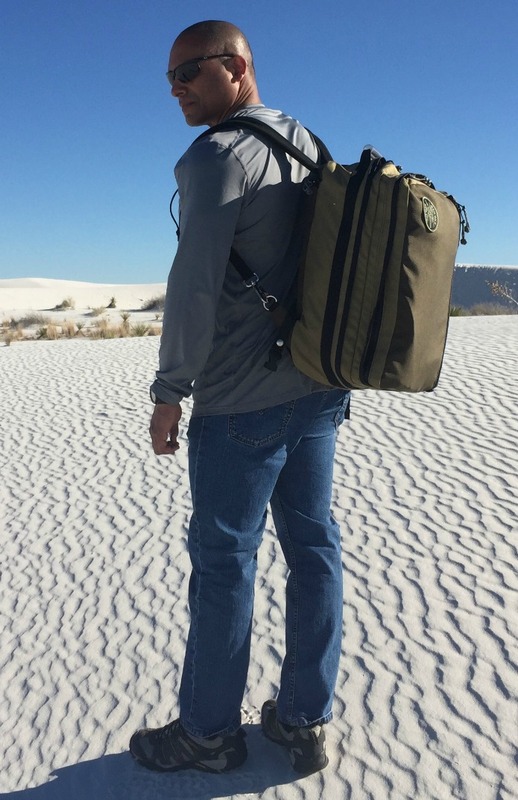 Besides the Travel Trays, we now have an assortment of duffel style luggage, tote bags, and other items from Red Oxx in our travel gear inventory. I only use the carryon sizes, but for those of you who still check bags, there are plenty of other options. It will be the last luggage you ever have to buy…seriously. Check out the video demos and other details for the Red Oxx collection. When your goal is packing light, shoes always seem to be the problem. As a result, if I find a good travel shoe, I’m sold. Recently I was introduced to Arcopedico. Known for comfort, Arcopedico produces women’s shoes that specialize in being lightweight, while still being supportive of the arch—which makes them ideal for traveling. 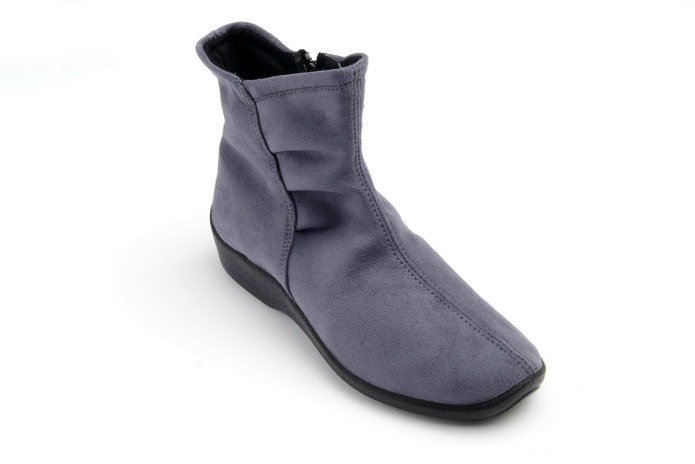 There are numerous styles to choose from, but my current favorite is the L19 bootie. It’s lightweight, breathable, vegan, and machine-washable. I literally walk in these booties all day—even on the cobblestone streets in Europe and my feet feel fabulous! They’re cute enough to transition to dinner in the evening too. And since they weigh less than a pound, there’s room to spare in my luggage. Arcopedico is sold on Zappos and Shoes.com, as well as in brick and mortar stores nationwide. Check out their wholesale site here. Working out is a must for my husband when we travel. And, yes, he usually convinces me to join him to “inspect” the hotel gyms along the way. But while my gym shoes take up relatively little room in my suitcase, his have always been bulky. Enter the Nike Free RN FlyKnit 2018. The lightest in this line of Nike options, this shoe’s innovative design has great breathability and the ability to contract and expand with your entire foot as you run. Best of all, its mesh upper makes it foldable—it’ll even fit in the shoe bags. And it’s super light so there’s no added weight—goodbye chunky gym shoes!